Spicy Saturday Picks – January 4, 2014. Spicy: Dhiren writes an amazing poem in Hindi about the moments of time. He talks about how once time passes, it is only memories that we have left with us. What: Alok Nath in & as Beena Ji Wo Mar Chuka Hai. Spicy: Tushar writes a very interesting post with respect to Alok Nath’s contribution to Hindi Television and Cinema. He humorously talks about how all the roles played by Alok Nath are somewhat similar. The recent twitter trend about him gave Tushar the idea to write about the same. Spicy: Abhishek writes an extremely meaningful post about how we as selfish humans encroach, litter and disrespect nature and forests, not leaving any natural habitat for the animals. What: Hey you! Yes YOU! Spicy: Here’s a post that reminds you to love yourself! Yes, there will be times of trouble and when everything will seem to be against you but what is important is that you smile and remind yourself that everything will be okay. Spicy: Remya writes a different post which tells us how crying can actually be therapeutic. Sometimes shedding those tears does make you feel better! Read the post to find out more. What: THE ART OF BEING TRADITIONAL WITH A MODERN APPROACH…. Spicy: Every Indian woman today is modern with a traditional approach. Many things desired by her are kept as a secret from society under the context of being traditional. Have you checked out ‘Conversations‘ where you can Connect, Learn & Share. 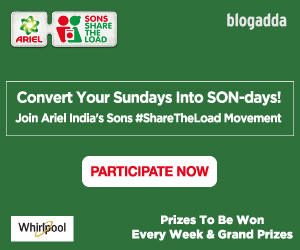 Do check it out and participate. You can now tip your posts for Tangy Tuesday and Spicy Saturday Picks right from our homepage. 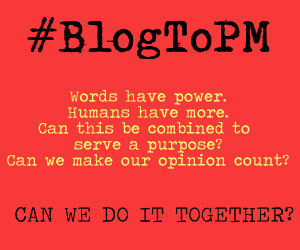 Click on the tabs and submit your posts.You can also tip us on Twitter @blogadda or using our contact form. If selected, you’ll be credited for it and the readers will get a chance to read something worthy. Next PostNext Asian Paints Aquadur PU – The Ultimate Shield For Wooden Exteriors!